The Foundation's Triple A is a $250 scholarship available to newly initiated members of Phi Gamma Delta who earn a 3.2 GPA during their pledging semester. Applicant must complete the online application for the Foundation's the Academic Achievement Awards. While completing the online application, the applicant will need to attach and upload his official grade transcript from the school, which contains the applicant's name, hours and GPA of the semester/quarter in which he pledged clearly printed on transcript. Any member accepting the Academic Achievement Award agrees to also accept emails and/or electronic communication from the Fraternity and Foundation while they are undergraduate members. Any Triple A applicant has six months after his initiation date to submit his Triple A application. After six months has lapsed, the Triple A applicant forfeits the scholarship. To access the application, you MUST log-in to the Phi Gamma Delta website. After you log-in, please take note of your Constituent ID # (for chapters only) or System ID # (for colonies only) on the My Account page: you will need the # for the application. 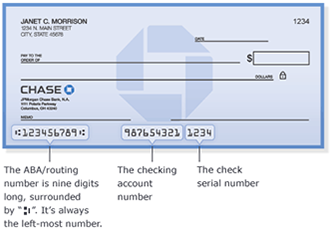 You will also need to provide your financial institution’s routing # and account # (these numbers are printed on your checks), because your scholarship will be directly deposited into your checking or saving account. Once you log-in to the application, you will download Smarter Select software. Then you will be asked for your "Organization Name." Please enter your School Name, not your chapter name (e.g. Penn State). The application is completed via outside software, Smarter Select.